Life.Church, a multisite Christian church that started in 1996, meets in 29 locations in nine states and globally at Church Online. Switch is the middle school and high school ministry of Life.Church. Over 7,000 students at locations nationwide gather together to worship God, build Christ-centered community, and grow in their relationship with Christ and with each other. Worship leaders from across the Life.Church organization collaborate to create the music and worship for Switch. Life.Church has already given us some great resources including the YouVersion mobile Bible app, Church Online and of course the down-to-earth ministry from Craig Groeschel. 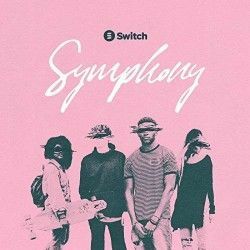 They have also, over the years, also released a number of recordings and resources for worship, and now it is time for the youth arm, known as Switch, to bring their music to the world through a deal with the Dream Worship label. The result of this is a 6-track EP called "Symphony". The project starts with quite a mature sounding track called "Lifeline" with a confident male vocal. 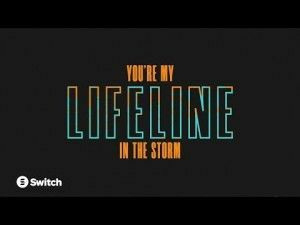 The song talks confidently about the lifeline that God offers us when we are at our lowest point and feel like we are drowning and His faithfulness. This was the first single from the EP released last August. "Higher and Higher" takes more of a retro pop / dance feeling, there is a similar theme to this song, although this focuses more on the response of lifting our praise. The closest thing this track has to a catchy hook is a paraphrase of Jesus being the life, the truth and the way. In truth, the next couple of tracks each have a very similar sound and feel, even though the topics of the songs are slightly different, if you aren't paying particular attention then they seem to run into one another. "Closer" is about the yearning for a more intimate relationship with God, where "Heartbeat" is about the life of the Spirit inside us leading back to praise. Thankfully things change with "Obsession", for a start there is a female lead vocal where until now it has been the male vocal that has been dominant. This track is designed to speak more to the idea of image and identity with the song talking about what people think doesn't matter, "nothing defines me but your love." There is a confident vocal which makes you believe what is being said which is essential in this type of track. The album rounds off with the title track, "Symphony". This song was the most recent single and the track that has been put with the pre-orders, and it features Dillon Chase adding a bit of a rap in the middle section. This track is about our lives, even when everything looks chaotic and maybe painful, that God is writing our lives into a beautiful symphony. 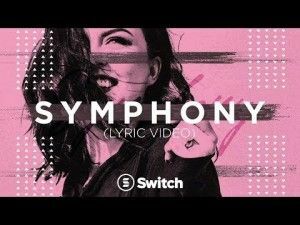 "Lifeline" and "Symphony" are definitely the two tracks that really stand out on this release, and no doubt that is why they have been chosen as the first and last tracks as well as being the pre-released singles. Those tracks in the middle aren't bad, but putting them back to back means they lose any distinctiveness, and they just sound like a standard Christian pop. Having said that, this short EP shows that this youth worship band have some great vocals, the programming on all the tracks sounds professional and clear and just maybe there are one or two tracks that could break out a little bit? Certainly I think this is a good place to build from for the future.